Mr. Yves Hassenfratz, manager of the ibis Nanterre La Défense hotel, and his entire team welcome you. We are here to help at any time. 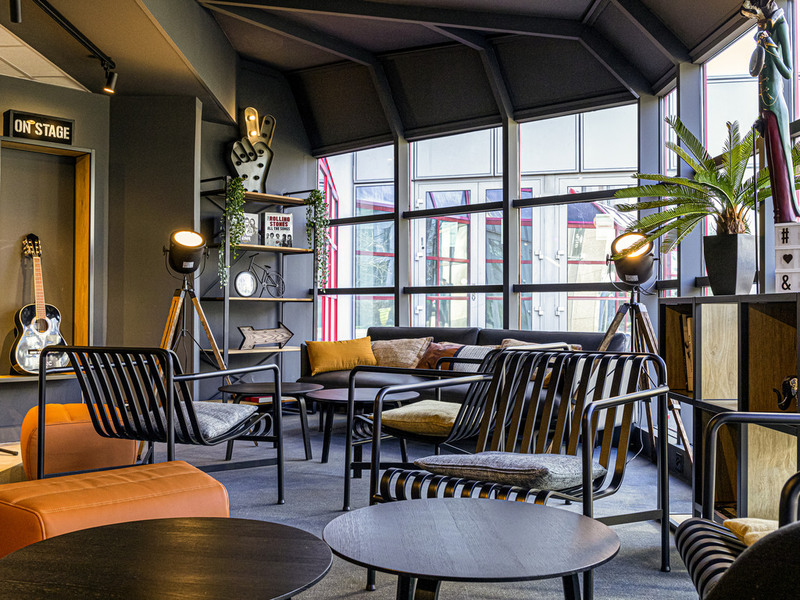 Located close to the La Defense business district and convention center, the ibis Nanterre la Défense offers a relaxing place for your business meeting or family vacation. The hotel is open 24 hours a day. Taking the RER A from La Défense station, you'll reach the center of Paris, the Champs Elysees or the Les 4 Temps and CNIT commercial centers in ten minutes. To relax, why not try a spot of jogging in the greenery of André Malraux park? Between La Défense and Rueil-Malmaison, the Champs-Elysées is just 20 minutes away. All the pleasures à la carte. During your stay, discover the culinary steps of a meal in our Ibis restaurants... Closed 15/07 to 18/08/19, including for lunch and dinner. Relax at the bar: at any time of the day, everyone ends up finds themselves at the Ibis bar for a few moments alone. Closed 15/07 to 18/08/19.